The Trident Business Park is a major commercial redevelopment of post industrial land at the Farsons Brewery, being developed in parallel with a heritage redevelopment of the Farsons Old Brewhouse itself. The Grade A commercial offices in the park will be conditioned with the first installation of Thermally Active Building Slabs in a maritime Mediterranean climate, requiring extensive analysis and a comprehensive strategy to link control of heating, cooling and ventilation with the opportunity for occupants to open windows and balcony doors and benefit from the Maltese climate. The EcoBuilding in Podgorica was the first construction project commissioned specifically to house UN Agencies anywhere in the world. 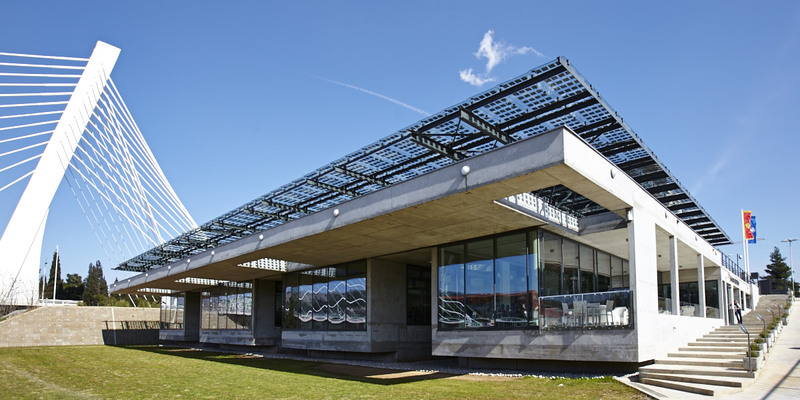 Funded by the Montenegran Government, the building was designed to extremely high levels of comfort and passive energy conservation with groundwater heat exchange and sufficient photovoltaic generation to offset its entire energy demand. This project represents a major challenge to the conventional UK property industry. The brief was to provide standard developer specification office accommodation, but with low operating costs. Doug’s design delivered a 10% increase in yield for the operator by reducing energy and water consumption by 80%. It also resulted in the highest ever BREEAM Score and prompted BRE to introduce the BREEAM Outstanding rating. Doug helped bring a European, low energy, approach to the US with this landmark building. With internal gardens and an intelligent facade, it breaks the mould of conventional air-conditioned American buildings. The use of opening windows and a full height atrium for ventilation was a first for Massachusetts. The project was, until recently, the largest building in the world to achieve a LEED Platinum rating. The Tank Museum’s collection was in dire need of better conservation environmental conditions, but no-one had ever designed a museum specifically for tanks before. Doug developed a unique combination of underfloor displacement ventilation and radiant heating to control condensation and corrosion on the tank hulls. He then daylit the space to provide excellent conditions for display without the need for electricity. Doug was concept designer for this flagship store which Building Magazine described as the most radical design in the history of retailing. His inspiration to turn the conventional store upside down provided daylight and natural ventilation. Ground water cooling coupled with heat recovery from the food refrigeration delivered enhanced operation and comfort. The store achieved a 50% reduction in energy consumption and the only ever maximum BREEAM (2/91) score for superstores. Doug provided the systems engineering design for a temporary auditorium for the Royal Shakespeare Company to use during refurbishment of the Royal Shakespeare Theatre. The 1050 seat theatre features one of the most sophisticated auditoria in the world, but was designed to be dismantled and removed from the site. However the theatre has proved so popular that even with completion of the RST project there are calls for the Courtyard Theatre to become a permanent.